Is your network secure, if not WatchGuard‘s Firewall & Threat Management appliances deliver the industry‘s most effective defense-in-depth for malicious attacks, email and web, including powerful data loss prevention. These easy-to-use, all-in-one solutions provide protection from email and web-based threats including spam, viruses, compromised websites, blended threats, and network attacks. Connected Phone provides a simplistic cost effective VoIP solution whether it be on your phone system or ours. 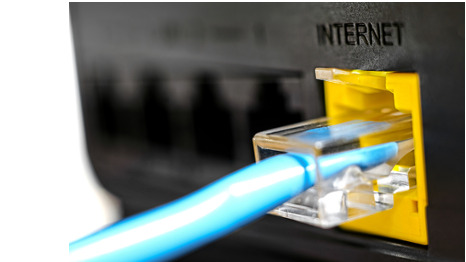 Arafura Connect offer Unlimited Broadband to business and home users, the plans and services all have a Static IP Address and can be delivered over a variety of services such as dedicated fibre, NBN, ADSL and Satellite. Territory Technology Solutions has been providing ICT Sales and Service across the NT, Regional and Remote QLD, SA and WA since 1999, our established team of sales and technical professions can assist with all your ICT requirements no matter how large or small. Our expansion into the Kimberley Region has seen the creation of Broome Technology Solutions, our dedicated team will work to deliver ICT outcomes driven by the needs of your business with the same great service that has made Territory Technology Solutions one of the largest ICT companies in the Top End for the last 20 years. Broome Technology Solutions has been providing ICT Sales and Service to Northern Territory business since 1999, our established team of sales and technical professions can assist with all your ICT requirements no matter how large or small. Broome Technology Solutions has been providing ICT Sales and Service to Northern Territory business since 1999, our established team of sales and technical professions can assist with all your ICT requirements no matter how large or small. Visit our IT Blog for the latest information on all your IT needs.